Ms. Collette is the answer! I had many problems and she provided effective solutions in my business! My life has been changed and is still changing for the better! Her expertise is beyond master and she is truly a cultivator! I trust her. And I'm grateful to work with her and her team as my businesses continue to grow and flourish. One of the best decisions I have made in my life! - Airelle S.
As the founder and visionary of Collette Portis & Co. LLC and Destined Designs Business Solutions, Collette Portis, M.Ed., B.F.S. coaches and consults with business owners, entrepreneurs, and executives teaching them how to develop the strategy to expand and grow their businesses to ensure sustainability and build a lasting legacy. She is a business coach and strategist with more than 20 years of experience in a range of fields. Ms. Portis is a certified trainer, facilitator, and skilled coach. She has sharpened her ability to stretch the vision, mission, and goals of business owners, executives, and entrepreneurs alike. Collette has an extensive educational background having earned her Bachelors in Business Management, Masters in Adult Education, and completing her Doctorate in Transformational Leadership. opportunities include developing your growth plan, defining your daily work, developing company leadership, systematizing your business, and becoming an effective influencer to name a few. She has a diverse portfolio of clients and has facilitated workshops for the Mayor, City of Grand Rapids, Michigan, Northview Public Schools, Koinonia Christian Church, Smith Haughey Rice & Roegge, Fifth Third Bank, Aquinas College, Bloomfield Hills ISD, and Mawusi & Associates. Collette proudly serves on the board of Greater Fort Worth YMCA and Children at Risk and has also been featured in Voyage Dallas magazine. Additionally, she is a proud alum of Leadership Grand Rapids. Collette Portis has an exceptional understanding of varied personalities, leadership styles, business principles, and communication types derived from her diverse education, travels, and life experience. Her experience in government, education (K-12 and higher education), non-profit, Fortune 100 and Fortune 50 companies, such as Sprint and T-Mobile, has provided the tools and opportunities necessary to move businesses to a place of extraordinary growth. 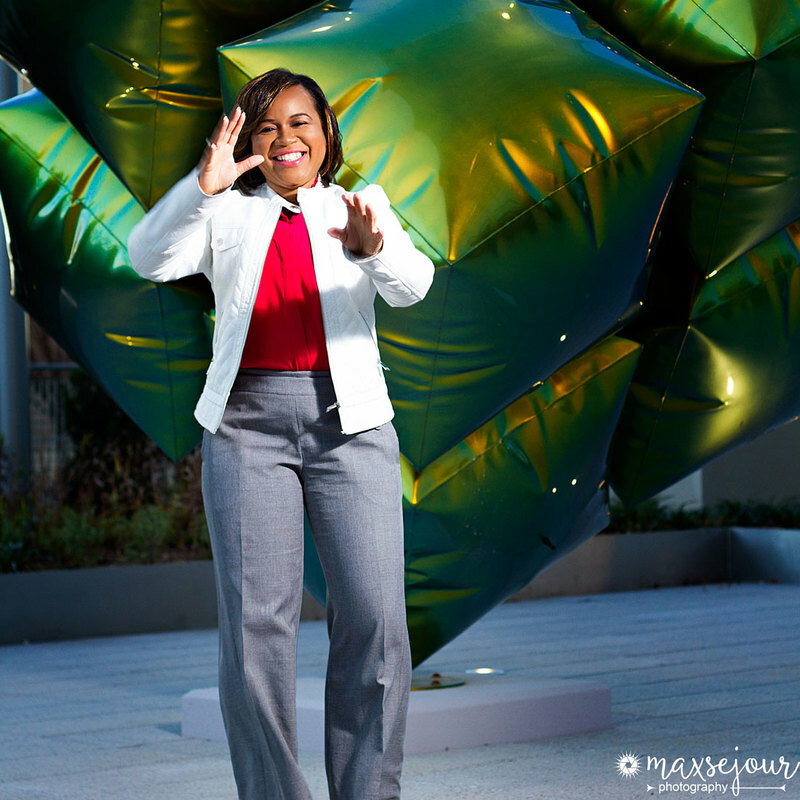 Successfully moving business owners from entrepreneurs to legacy builders is her passion. With the use of collaboration, community connection, business principles, and self-care Collette is known for giving her absolute best. She has also been afforded the opportunity to MOTIVATE audiences in many arenas, including as a volunteer certified SCORE mentor and as a sponsor and co-host during the global event Real Dialogue: 50/50 Day. Collette’s PASSIONATE delivery and TRANSFORMATIVE principles and concepts have been said to result in tangible takeaways to promote action, change, and continued improvement. Collette is truly gifted in helping others optimize the assets and skills needed to make your endeavors a successful business and not just something you do. Moreover, she is efficient and thinking outside the box and helping you achieve your goals personally and professionally! - Shaneka B.
Collette is a proud member of the Board of Directors of the McDonald Southeast YMCA. She is passionate about helping others discover healthy living through programming and access to resources just as she did as an inner city youth. She understands the importance of and the impact the YMCA has on a community. Collette's first exposure to healthy living, exercise classes, and healthy eating was through access to her local YMCA. Begin selected to serve on the McDonald Southeast YMCA is an honor as it was started by William McDonald, an African American millionaire who wanted to provide access to the YMCA for people of color in the Dallas/Fort Worth metropolitan area. Ms. Portis is dedicated to helping to continue the legacy of Mr. McDonald. Help her keep the legacy alive. Make your donation today! affecting children. CHILDREN AT RISK has grown to become a statewide organization impacting all children in Texas, and has been speaking out and driving change for Texas’ most defenseless youth for over twenty years. As an advocate for education and healthy living, Collette decided to support Children at Risk to make the greatest impact in the lives of children in Texas. Help us make a positive impact on human trafficking, public schools, and children's health. Make your donation today! My purpose is exposing the purpose in others to cultivate a community of amazingly great business owners who appreciate collaboration, growth, & legacy. ​- Collette Portis, M.Ed., B.F.S.